It’s a little bit charming, a little bit quirky, a little bit steeped in tradition. What it’s not is bland. 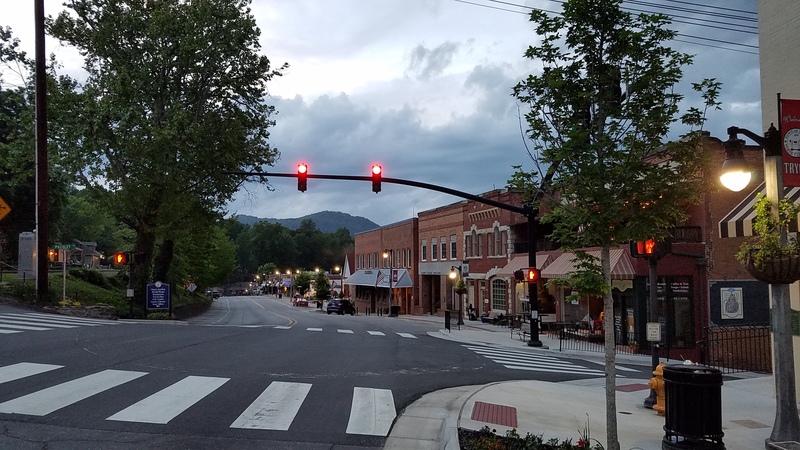 Originally a railroad town in the 1800’s, Tryon has been the hangout of the famous and near famous since the early 1900’s. Its where a nine foot horse mascot stands in the middle of town, down the block from a memorial statue of native jazz great Nina Simone. Whether you need a dose of the arts, or history or unapologetic charm, you’ve come to the right place. 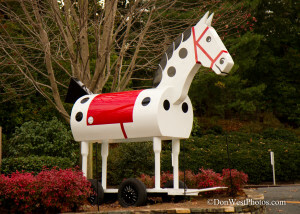 Tryon is a vibrant, eclectic community. Big in the arts, there are many venues to enjoy yourself or express your inner artist. Tryon has a long standing love affair with the horse. Much of that started with Carter Brown who came to Tryon from Michigan in 1917. He founded the Tryon Riding and Hunt Club. With Brown’s inspiration, the Tryon Horse Show and the Block House Steeplechase were created. In 1956, the US Equestrian Team prepared and trained for the 1956 Olympics in Tryon.